"X" indicates model with legs for workbench height. Built to CSA & NFPA standards. 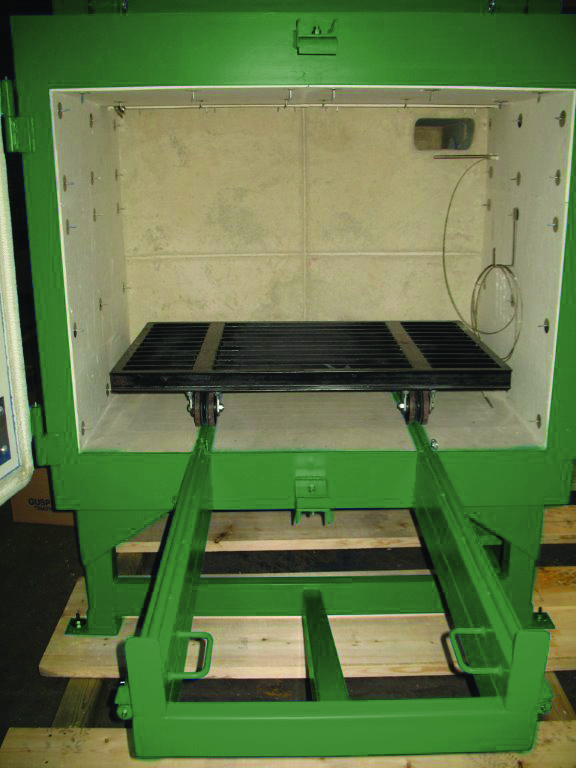 * Design Load based on load that can be brought up to cleaning temperature in under one hour. Carts are easier to roll in and out. 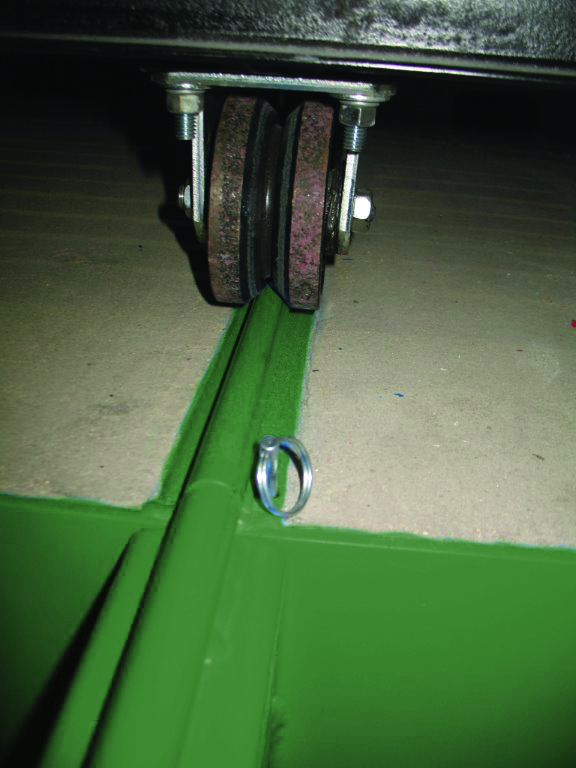 The V-grooved wheels on 3/4'' diameter rod rides up off the ash and debris falling off the processed product. The new OTS system incorporates a safety low water pressure switch and a manual bypass valve. 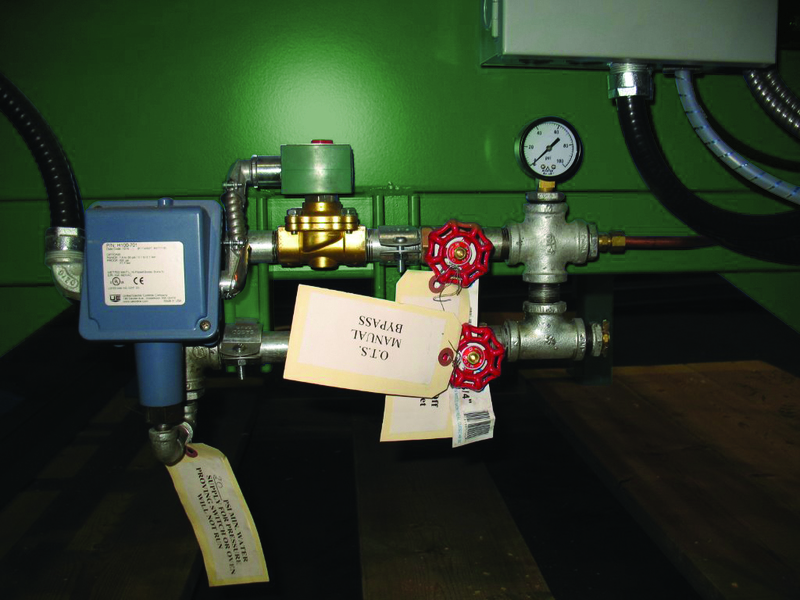 In the even that water pressure is lost, the low water pressure switch will shut down the process burner. The oxidizer will continue to process any of the gassing from the product and eliminate any environmental concerns. The manual by-pass allows for activation of the OTS system. The design is compact and will fit onto current pursley arrangements. All BAYCO ovens are equipped with heavy duty cart rated to a minimum 8,000 lb capacity. Special high temperature and extra heavy duty load applications are also available. Easy to repair or replace. 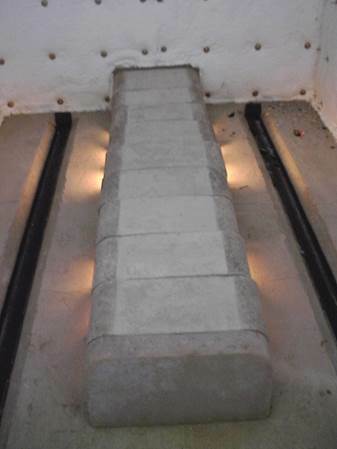 Longer life U-shaped tiles are cast from acid resistant refractory. Stocked for both new oven orders and aftermarket sales. Oven floors are poured flat. No firebox forms to setup, grease and disassemble. Firebox repairs and down time are reduced. Simpler do-it-yourself repair for old BAYCO ovens. 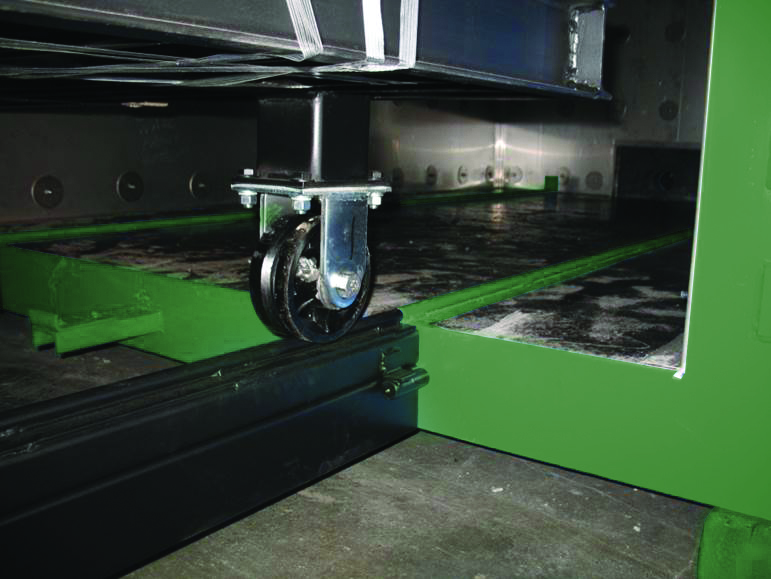 Doors seal completely to eliminate smoke and odours through the cart tracks. Reduce cold spots at the front of the ovens. Allows better control of the amount of oxygen getting into the process chamber. Replaces previous high/low loop designs, reducing the number of components that can fail. Low fire adjustments are internal to the actuator preventing inexperienced hands from experimenting. Older BAYCO ovens can be easily upgraded by simply replacing the valve body and actuator. Added safety features include a lockout flame safety, low gas pressure switch and air pressure switch. Eliminates vapour build up in the process chamber. The continuous burner eliminates re-ignition failures during cycle. Added safety features include a lockout flame safety, low gas pressure switch, low water pressure switch and air pressure switch. High/Low feature provides a tighter temperature control in the process chamber.